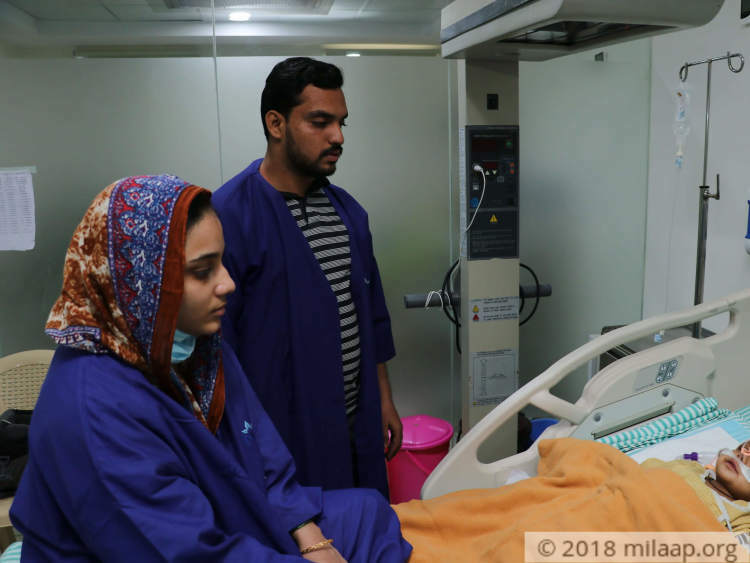 Syed Idrees and Shifa, a young couple, were shocked beyond words when their 8-month-old baby Syed Atif was diagnosed with cancer. Even before they had time to take it all in, they were asked to take their baby immediately to a hospital in Bangalore. The poor parents did not have any other choice but to take a bus journey from their small town in Shimoga. 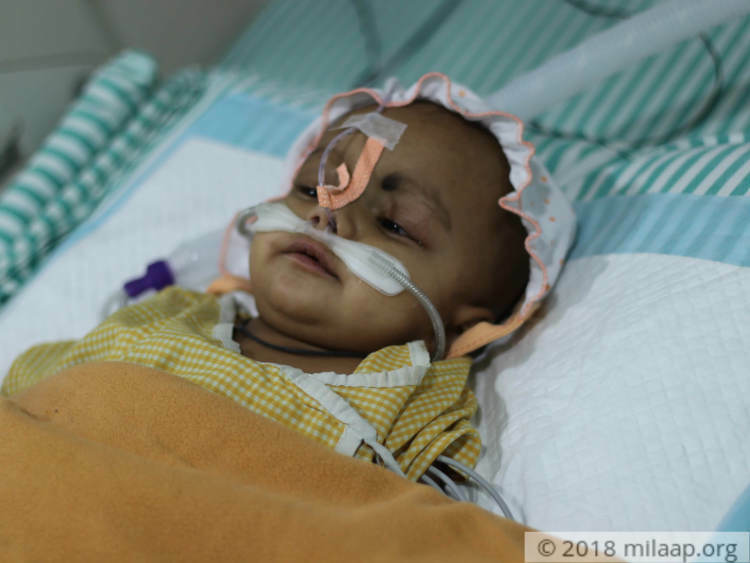 The word 'cancer' kept reverberating in their minds and they were trembling in fear throughout the journey.Baby Syed Atif was in excruciating pain and was crying uncontrollably. The crowded bus, suffocated him more and he began to have breathing troubles. Syed Idrees thought to himself that no parent or child should be in such a trying situation. The young, helpless couple is still in shock and they are struggling to save their only child from his cancerous tumour. 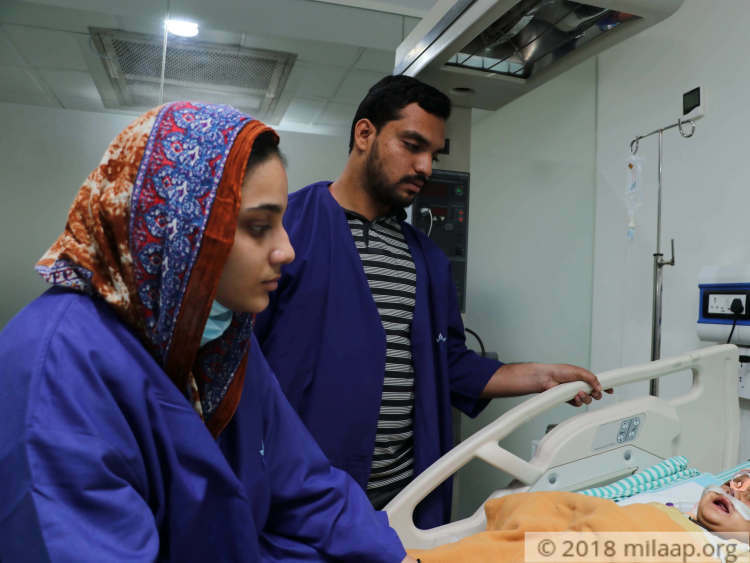 Syed and Shifa were on cloud nine when baby Atif was born. He was healthy and active, his smile brightened their lives and they had a lot of dreams about his future. Little did they know, that their baby's life would soon be at risk. 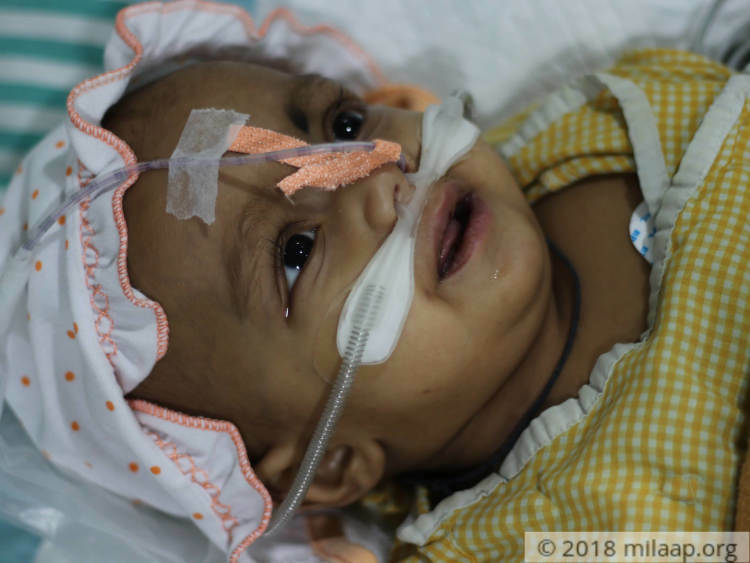 When baby Atif turned 5-months-old, he had a small swelling in his right leg, his parents thought it would subside and did not take it seriously. But the swelling kept growing, within a few days, he lost his energy and looked very pale and weak. They took him to a hospital and the tests reports confirmed that baby Atif has Ewing Sarcoma, a cancerous tumour that usually grows in bone. It started in his right leg and has an increased risk of spreading to other parts. It can turn fatal without treatment. "When the doctors uttered the word 'cancer' my husband and I broke into tears, I almost fainted. We were not prepared for it, we begged the doctors to save our baby, It has been months since I saw a smile on his face. He can't even tell us his pain, he holds me firmly and refuses to leave me even for a second." - Shifa, Mother. 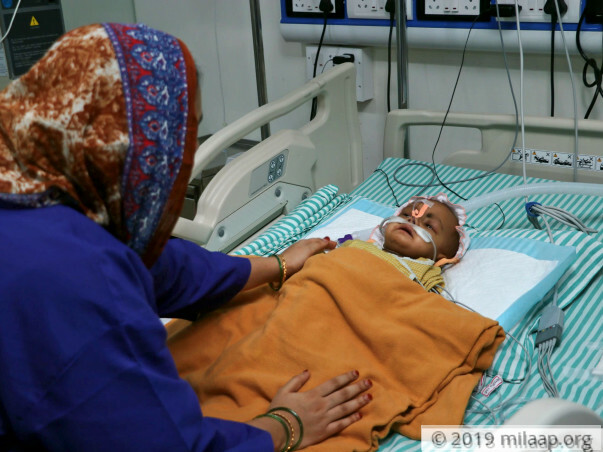 Baby Atif's condition was critical and the intensive chemotherapy cycles were started soon after he was admitted. The side effects left baby Atif with breathing troubles and he was taken to ICU. 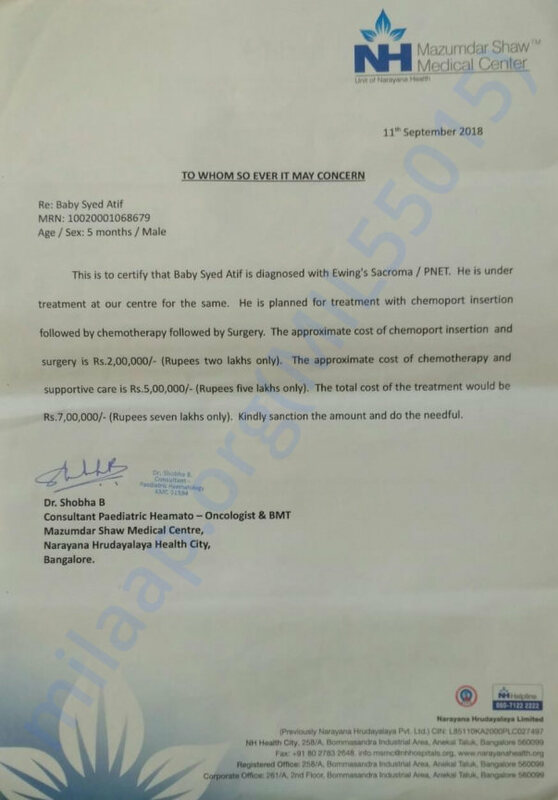 Baby Atif needs intensive chemotherapy for the next 6 months at least and possibly a surgery to remove the tumour. He has a long way to go to fight this dreadful cancer, and sadly, his parents are physically and emotionally exhausted. While his mother is taking care of the baby in the hospital, his father leaves early for work, spending sleepless nights worrying about his baby. "Everyday his pain and suffering increases, he is poked with needles everywhere. He should have been trying to stand on his own and learning to say 'Amma' and 'Appa'. But now he is crying day and night. My wife is still struggling to come to terms with it. She keeps asking me 'what did we do to deserve this?' I have no strength to console her. I'm watching them suffer helplessly." - Syed Idrees, Father. Syed Idress owns a small mechanic shop in a rented space. With the meagre income, he was living a modest life. He had little savings with which he started the treatment. He also borrowed from his relatives but now he has exhausted all his resources. He feels completely lost and wonders if he will ever be able to save his baby. All that he is earning is not even enough to buy medicines and to afford 7 lakh for the treatment is beyond his means. "Not even in my wildest dreams did I think that I had to go through this, my baby is suffering so much and I'm not able to do anything. He will not survive without the treatment and the thought of this doesn't let me sleep or eat, I'm running to everyone I know but nothing seems to be enough." - Syed Idress. 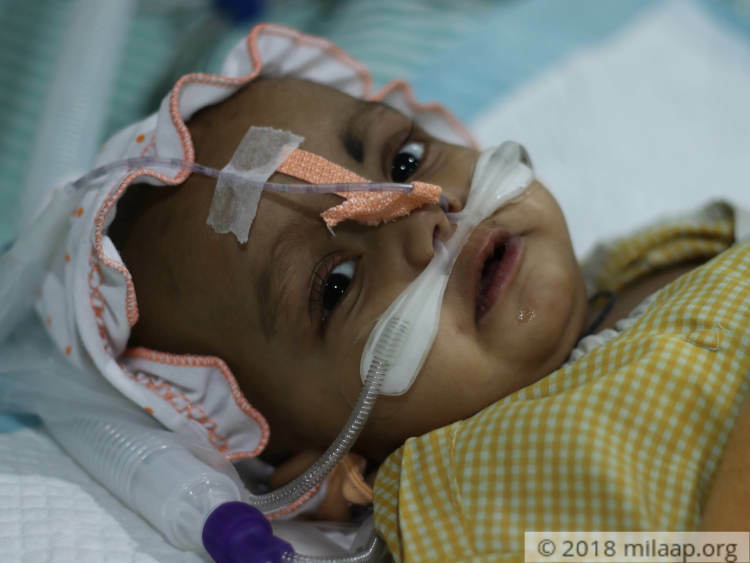 8-months-old baby Syed Atif is battling dreadful cancer and needs intensive chemotherapy to recover completely. the baby is in constant pain and cries uncontrollably day and night. His poor parents are helpless and they have nothing left with them to save their only child. 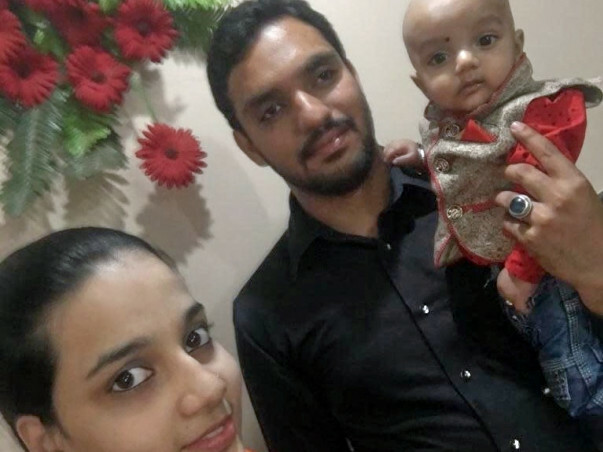 Only your support can help this young couple take their baby back home. Baby Syed Atif is doing well. Patient developed a infection and is admitted in hospital and is getting treated for the same . 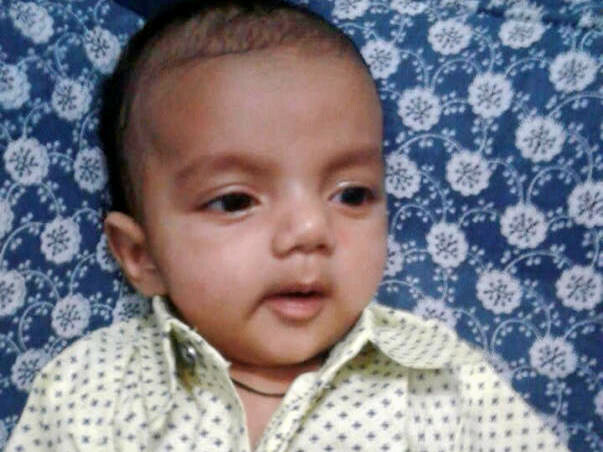 Baby underwent 3 cycles of chemotherapy and has to undergo 3 more cycles of chemotherapy. Atif is currently undergoing the 7th cycle of chemotherapy. Previously the doctors had told us that he will be able to undergo the surgery after his 6th cycle, but now they have informed us that the chemotherapy needs to continue for another month. Now, he will undergo the surgery after the 8th cycle. He's better now but he keeps falling sick after the chemotherapy injections. He is given antibiotics for the same. Atif is in the hospital right now and has to take 14 injections for his chemotherapy. As of now, he has taken 6 until now. He will undergo a CT Scan this week. Because he is very thin, he develops a fever after every injection. The doctors say that he will undergo the surgery by this month. God will heal you beta. Hope the baby gets well soon. God bless the kid. May Atif recover soon.